Beach House Iruveli, a window to the culture of Maldives. 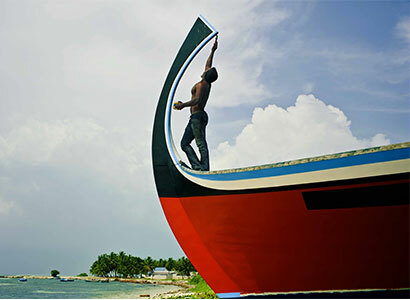 Designed to give visitors a real immersion into the culture and traditions of the Maldives, the hotel gave carte blanche to photographer Richard Mark Dobson to capture scenes of local life. Colorful and pure, his photos are a testament to the culture that lies in the manufacturing of traditional wooden boats, the daily lives of women, and children’s games. So that a trip to Beach House Iruveli is not just a simple trip, a wide range of excursions have been made available to guests: a Historical Island Tour to discover the Utheemu Palace, the former home of the hero of the Maldives; Traditional Maldivian Fishing to learn about the techniques of traditional fishing, or even the Local Island Tour, to meet Maldivians going about their daily lives.